Derp for iOS is a fast-paced, two-player, head-to-head game of skill and coordination that Ricky Mondello and I built for iPhone, iPad, and iPod touch. Grab a friend and test your skills in an increasingly-difficult contest of reflexes! Tab Rescue is a Safari extension that revives tabs and windows that you’ve (accidentally) closed, using the ⌘⇧T shortcut that most other browsers use. It’s a feature I missed a lot when using Safari, and now we don’t have to go without! 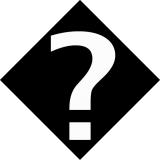 WhatChar is an easy-to-use webapp that identifies characters. It tells you what character is hiding beind a .notdef glyph. It can also show you the difference between a minus sign, an en dash and a hypen-minus. 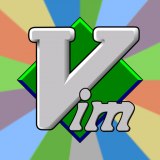 SunburstVIM is a port of the TextMate theme Sunburst to VIM, supporting 8, 16, and 256-color terminals and GUI-based editors. It also includes some modified syntax files for better highlighting.